The Belarusian Chamber of Commerce and Industry hosted a seminar focusing on free trade agreements between members of the Eurasian Customs Union and non-union states on Tuesday. 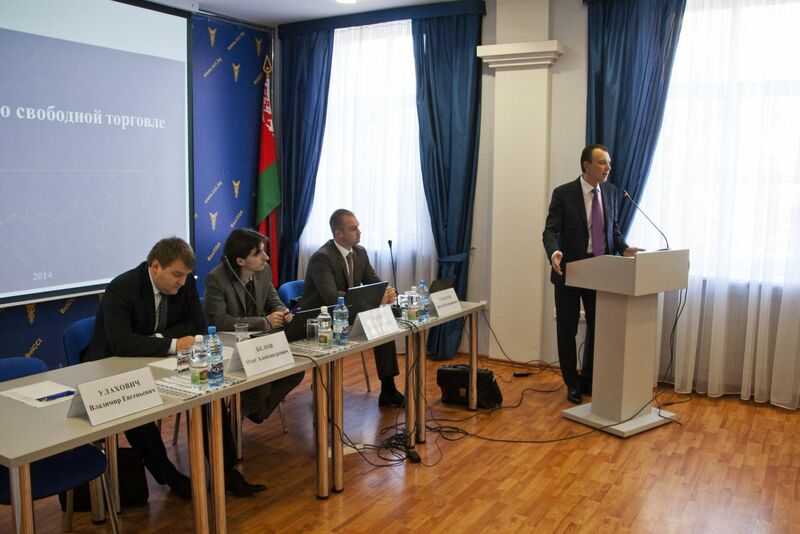 The Belarus Ministry of Foreign Affairs of the Republic of Belarus, in cooperation with the Eurasian Economic Commission and the BelCCI, organized the seminar. Eurasian Customs Union member states include Russia, Belarus and Kazakhstan. The seminar also included information on the world practice and activities to reach free trade agreements with such prospective partners as Vietnam, Israel, New Zealand, India and the European Free Trade Association. In addition, attendees learned about the major approaches to the definition of goods in respect to preserving tariff protection, as well as the criteria that Belarusian manufacturers have developed to determine where goods originated, as explained in the draft Free Trade Agreement with Vietnam.